WanDriver (Easy DriverPacks) is the latest version of the WanDriver tool that can update the Offline Driver for Windows XP, Windows 7 (x86-x64), Windows 8.8.1 (x86-x64) and Windows 10 (x86-x64) Compact size, suitable for USB carry-on repair anytime, anywhere. 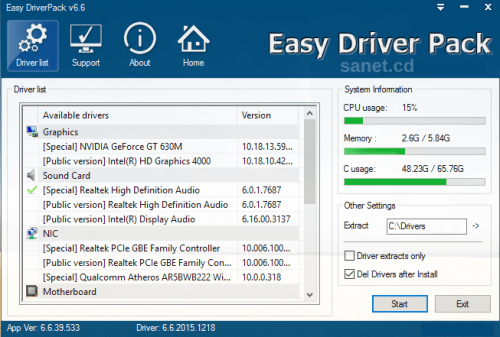 Although software provides enough drivers and with a click of the mouse you can install full full driver for your computer. But I recommend that you download drivers from the support home page to your computer works best.